ROI Ninjas use the best practices to grow businesses using PPC channels. We know the importance of the Pay Per Click Advertising nowadays and the issues companies face. We have been optimizing PPC campaigns since the beginning; it’s our passion and we love it. Our goal is to help maximize your ROI or return on ad spend. Working shoulder to shoulder with our clients we follow the transparency process and unique approach to delivering the best results. Google AdWords, Bing/Yahoo or Yandex.Direct has its advantages and disadvantages, and our experts can customize your strategy for each platform and tailor it to your needs. It remains the most effective PPC advertising vehicle for businesses. Our PPC ninjas will inspect your account and provide a detailed report with the recommendations how to improve it. Microsoft Bing is still one of the big players with an impressive share of the search market worldwide. Advertise your services to a targeted audience across the Google Display Network. Russian advertising service for placing contextual ads on Yandex and its partner’s websites. Increase conversions and improve ROI through our remarketing services – show ads to people who have previously visited your site. We start off with understanding your industry and set the core objectives to craft a unique strategy for you. Depending on your objectives, we will start off designing the structure of the campaigns, creating ad groups, researching the best keywords, and writing ad copies. Our team will implement a key element, and do conversion tracking, so all KPIs will be measurable. Now the interesting part begins and we can start optimizing the performance of your campaigns. Day-to-day tracking such as keyword efficiency, bid management, and conversion rate optimization will maximize your return on investment. We provide weekly and monthly reports with only the important stuff that can help you and your team see the performance of your account. 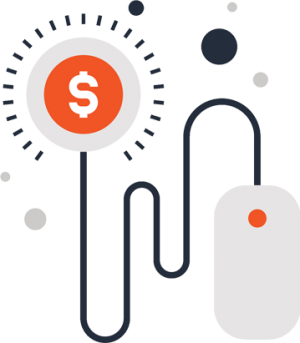 Our focus is to show you valuable information like CPC, cost per acquisition (CPA), the number of sales, leads or incoming calls, return on ad spend and the dynamic changes.